(SPOT.ph) After six months of rehabilitation and cleanups, Boracay Island in Malay, Aklan is finally reopening to tourists on October 26. This time, the Department of Tourism wants to make things right by being stricter with environmental compliance before accrediting establishments on the island. We wouldn't want resorts extending their property all the way to the white-sand shores again, do we? No excuse now! 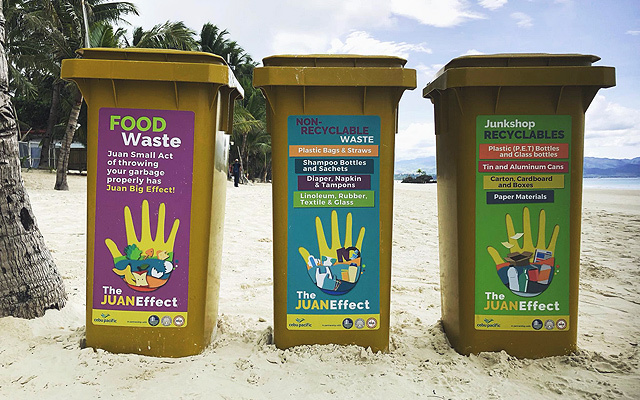 Cebu Pacific Air donated trash bins for use all over the island. 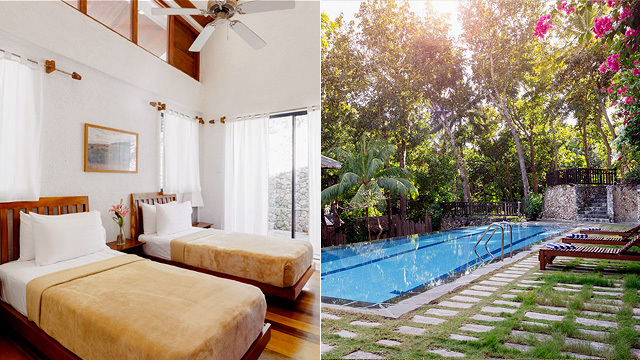 We round up some of the best places to stay in Boracay—particularly those that are already approved by the tourism office (as of writing). The Department of Tourism (DOT) warned that business-owners who would still open their doors to guests without securing a DOT accreditation "shall be dealt with the full force of the law." 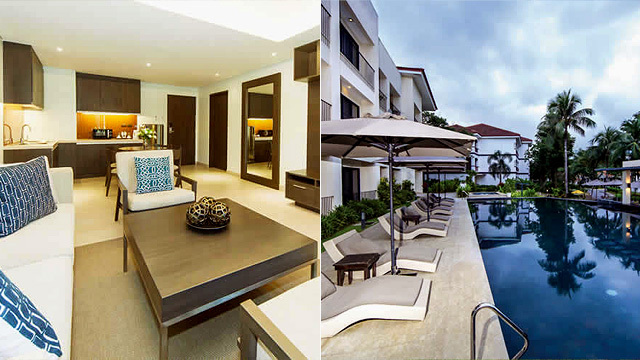 Discovery Shores Boracay has a total of 88 rooms that range from a 40-square-meter luxurious Junior Suite to a 120-square-meter Two-Bedroom Suite Premiere. The latter has all kinds of pampering amenities: A spacious private deck, an outdoor hot tub, and a 42-inch Smart Television. All-night partying may not be allowed anymore on the island, but all-night Netflix is a definite yes. 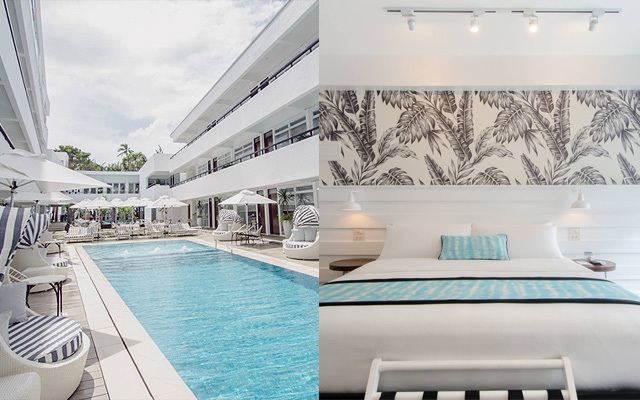 In case you're tired of wading in Boracay's white-sand beach (but why would you, it's supposed to be clean now), Current by Astoria has a 25-meter lap pool where you can perfect your freestyle stroke. There are also sunken loungers and built-in aqua seats for when you just want to take a break. 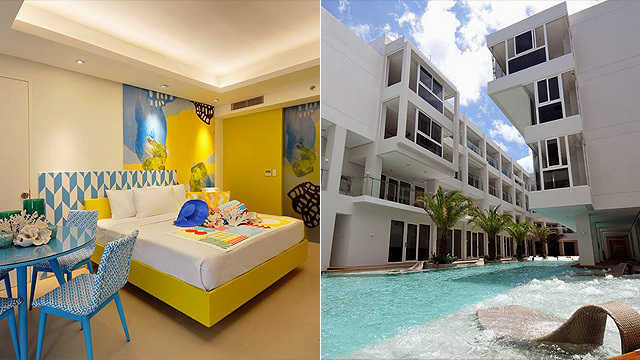 This four-star hotel and serviced residence has colorful suites that can fit as many as eight adults. It's perfect for a mini-reunion with your friends or the whole family. Azalea has two rooftop swimming pools—one for adults and one for kids. The Lazy Dog along Bulabog Beach is one of Boracay's best-kept secrets because of its location away from the crowd in White Beach. Just going by its name, you'd know it's the perfect place to lie back, enjoy being away from the Metro, and play with the resident dog. It's LGBT-friendly, too! Just look at the huge rainbow flag that serves as the dining area's roof. Nestled by the hillside and tucked behind towering coconut trees, The Strand Boutique Resort promises a quiet and relaxing stay. Each suite (there are only 13 of them) has a designated butler at your beck and call—be it for a wakeup alarm or ordering food outside the resort. 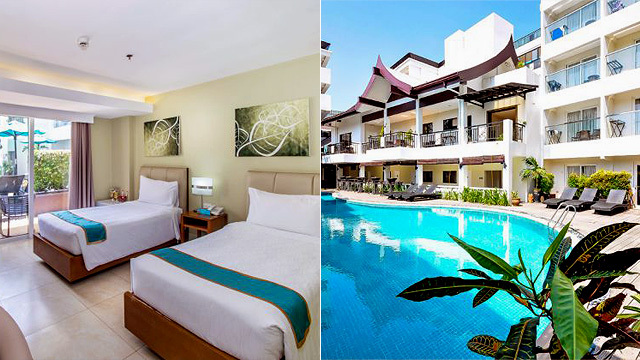 Each of Coast Boracay's 71 rooms are equipped with five-star bedding—so plush that it would be a challenge to get out of bed—as well as Smart TV and free WiFi access. The stylish resort, with interior designer Erik R. Lopez at the helm, showcases accent pieces all handmade by Mindanao weavers from Yakang Yaka Barter. 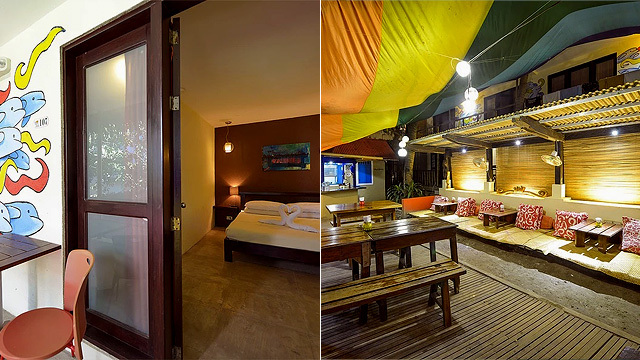 Boracay Haven Resort has a total of 63 rooms—most of which can easily fit a group of four through the 35-square-meter Family Loft or Family Suite. It has two signature restaurants: Haven Bistro, which is known for Chef Noy's Beef Belly Tapa; and Eden Bar and Restaurant, where you can order your favorite cocktails. 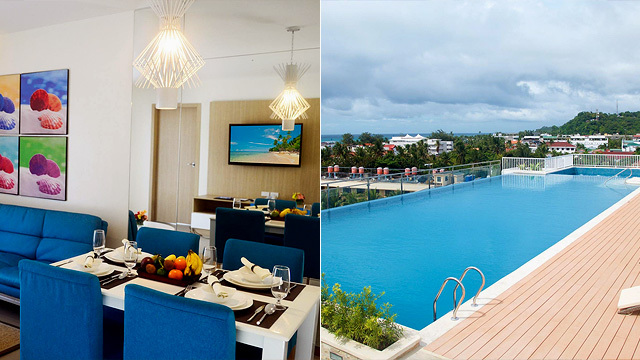 Fairways and Bluewater Newcoast Boracay is a destination in itself—so much so that you might not even feel the need to go to White Beach or Bulabog. It has a private white-sand beach, an 18-hole golf course, swimming pools for kids and adults, hot tubs, massage and spa services, a sports bar, al-fresco restaurants, zipline, cable car going to another hillside, horseback riding, and its own convenience store. It has a total of 700 rooms, making it the largest accommodation on the list of DOT-accredited hotels and resorts. 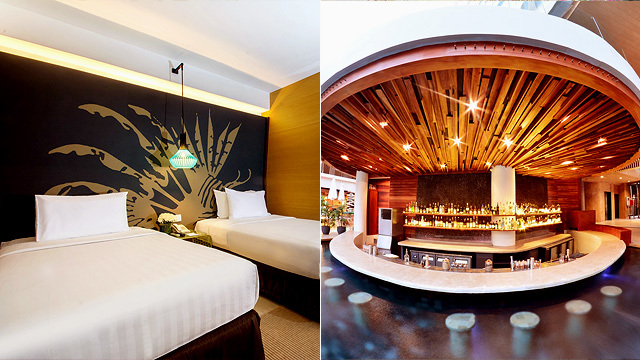 Unlike your usual hotel and resort, Hue Hotels and Resorts takes pride in its circular four-storey structure that houses not only its 126 rooms but also a strip of food stalls and retail shops. 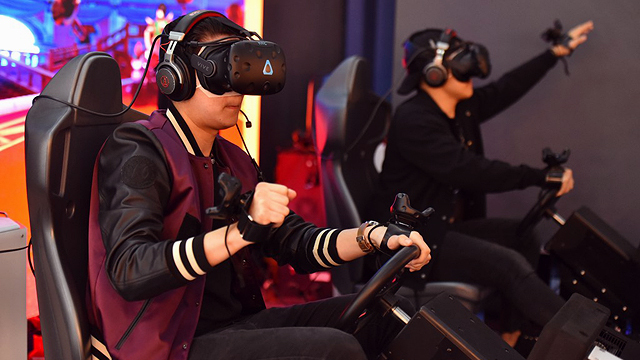 Right in the middle of the complex is a colorful common area called Station X, where guests can just hang out on beanbags and benches or nurse a bottle of beer. It also has a cool swim-up bar that doubles as a hot tub. 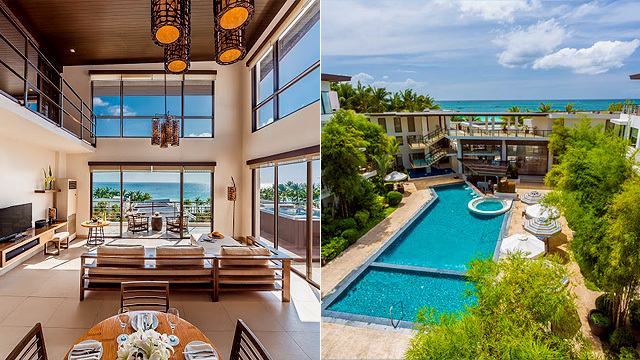 Shangri-La's Boracay Resort and Spa has its own bay area on the northern part of Boracay Island, so you don't have to worry about photobombers when you take your travel shots. Rooms and villas are all made with the tropical setting in mind—a veranda with its own pocket gardens, abaca elements in its decor, and a cogon-thatched roof. Want to indulge? 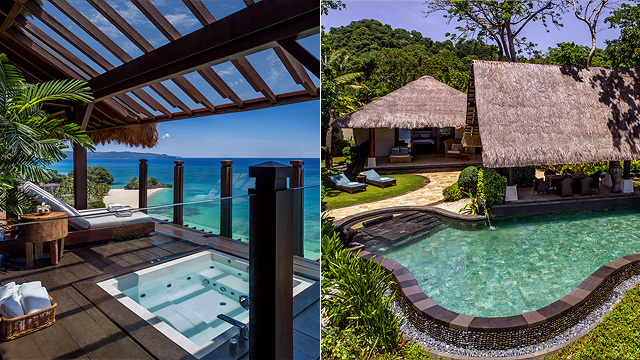 Book the two-storey Tree House Villa so you can just relish the stunning view of the sea.